If what you are looking for is a modern, engaging website with high conversions and large traffic volume you have found it here. The modern day website and what it can do. Since the world wide web came into existence much has changed not least the way websites engage visitors and the way in which they use and view them. An engaging, well designed website can be more than just a online brochure for your business, club, group or association. Websites should engage with the user while providing a high level of information and interesting content. It should be inviting and welcoming, easy to read, view and navigate. The site should give opportunities to its visitors and supply high quality images, graphics and functionality to increase the user experience through well crafted and designed user interface. In plain english, it should be fun and easy to use and leave you wanting more each time you visit it. But there is two sides to this story, while the importance of the visitors experiences should never be taken for granted or be ignored, a website can also be an extremely powerful tool for any business. The correct use of marketing, search engine optimization, analytics and other useful information gained by the business owner can, if managed correctly result in higher conversions and growth to your bottom line. Our team, with more than 30 year experience in web development made the move to the WordPress environment more than a decade ago when it became obvious that the open source content management system WordPress supplies is by far in advance of any of its piers. 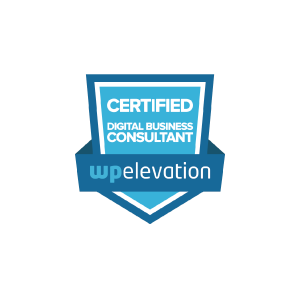 We have since continued to study and develop our skill levels and qualifications to keep us at the forefront of current and future developments in the WordPress space. With WordPress now the home to more than 30% of the world’s websites and including some major international brands as: Bloomberg International, BBC America, Variety, Sony Music, Microsoft News Center, The Walt Disney Company and even The Whitehouse, WordPress is well positioned to continue to gain more market share in the future. Arrested has grown with them over the years and now is in a prime position to supply our clients with the latest cutting edge technology this CRM has to offer. Arrested's methods to assist your business growth. To build a successful website is a two-way street. Arrested Graphics and Web Solutions partners up with selected clients to help them become market leaders in their industry. If you feel we might be a good fit together contact us and we can chat about your needs and how we might help. Fully automated digital marketing campaigns designed for specific purposes targeting high yielding audiences to return above average results. Arrested Graphics and Web Solutions operates with a small tight-knit team based on the Sunshine Coast, Queensland. Our business model relies on one-on-one development with a dedicated project manager assigned to each client to develop their project from start to finish. With our team always contactable by either phone, text message or email, we are never far away from our clients. © Copyright 2018 – Arrested Graphics.